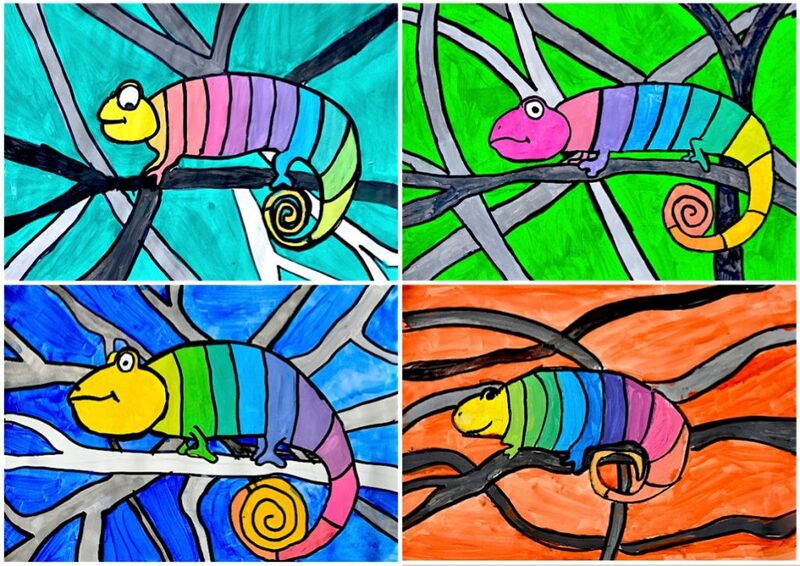 This activity helps us to practice mixing primary colors to obtain secondary and tertiary colors. 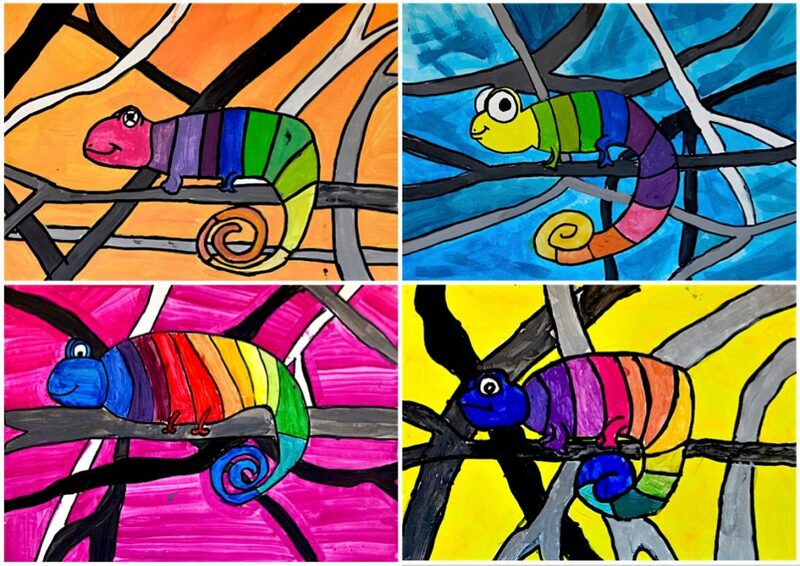 with students of 6th Grade we studied the color wheel and we learned how to mix colors in order to complete it. 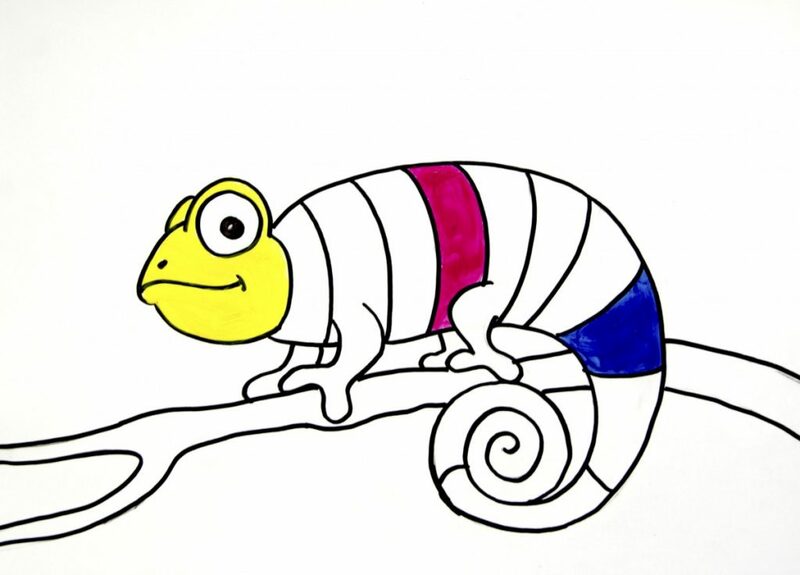 First at all you draw the chameleon with a pencil on a drawing paper. 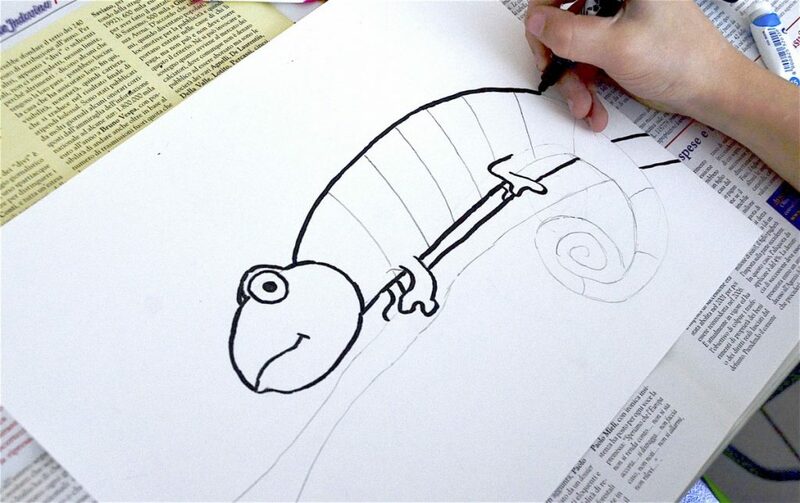 You can easily follow the instructions step by step on this interesting web site Easy Drawing Guide which teaches us how to draw any kind of animal and figure in a simple way. 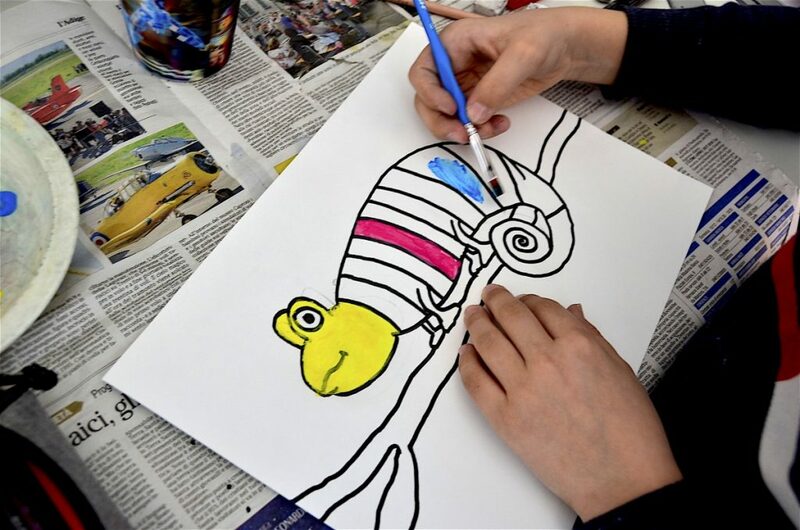 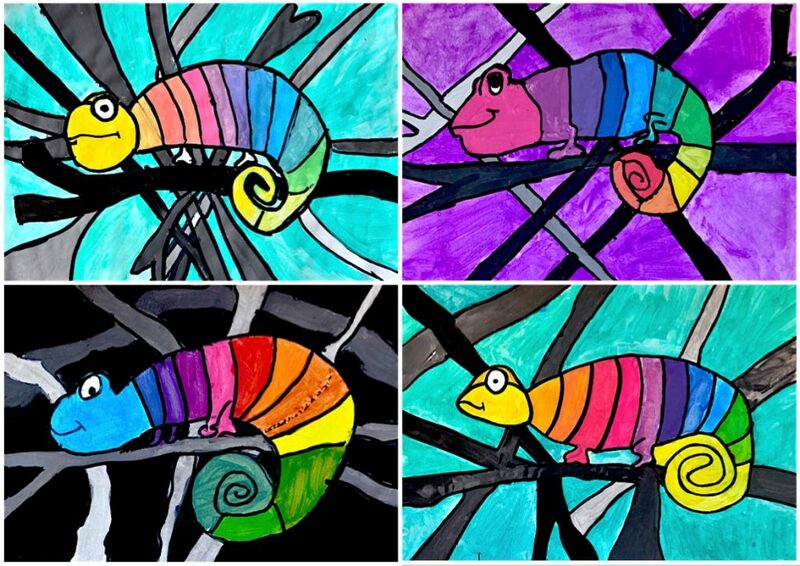 First you draw the shape of a chameleon with a pencil and then you divide it in 12 stripes, one for every color of the color wheel. 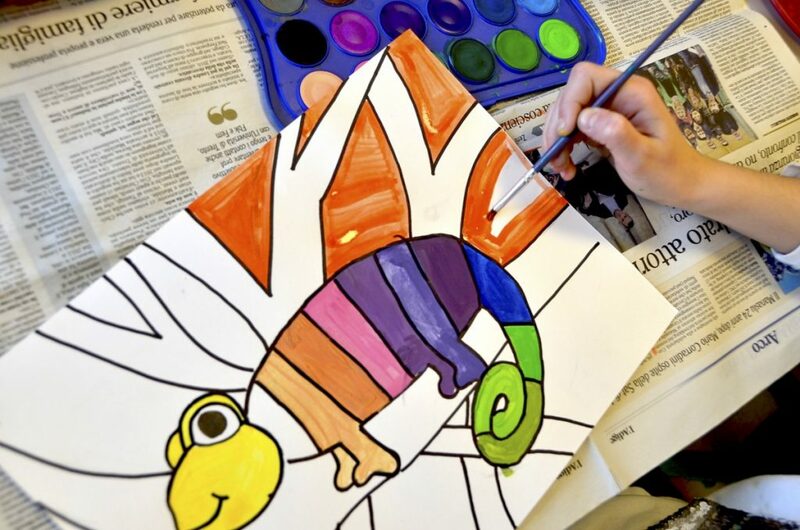 You can choose any PRIMARY color for the head, and then you can paint the other two primary colors on the stripes, skipping three stripes every time you paint a color. 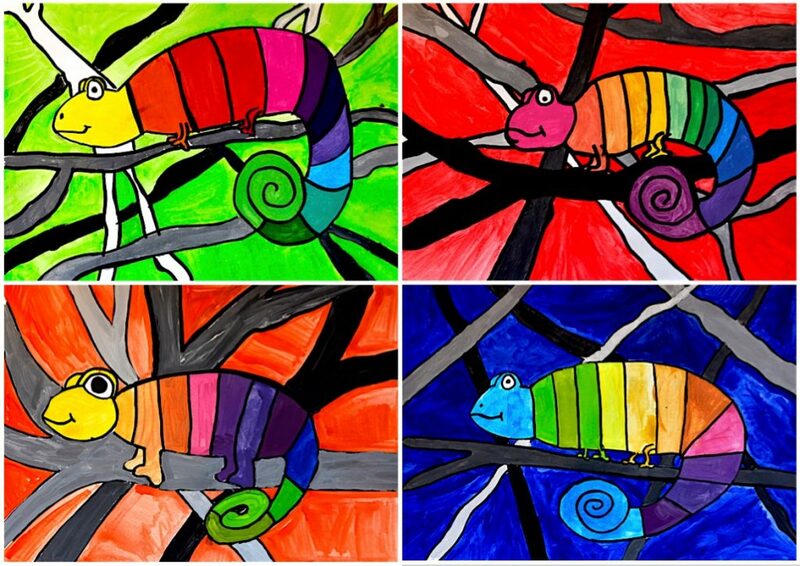 After painting the primary colors you mix them two by two creating the SECONDARY COLORS. 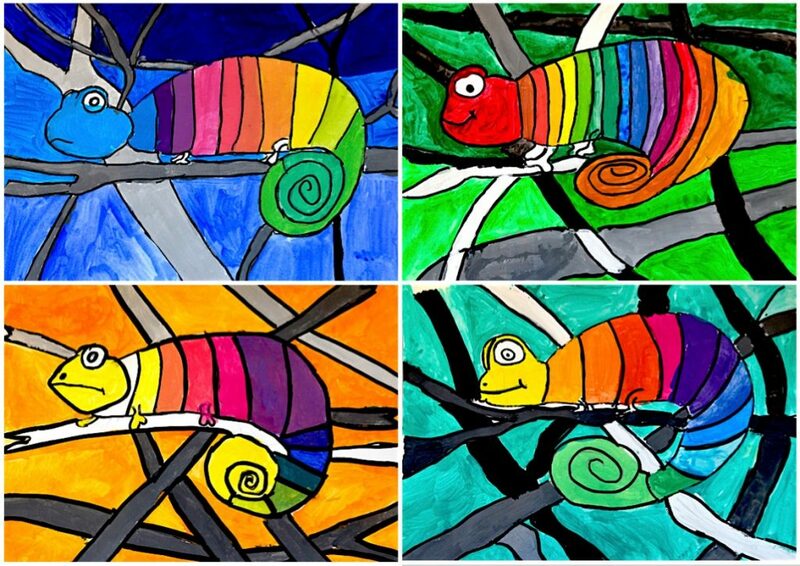 You paint them in the central stripe between the primary colors. 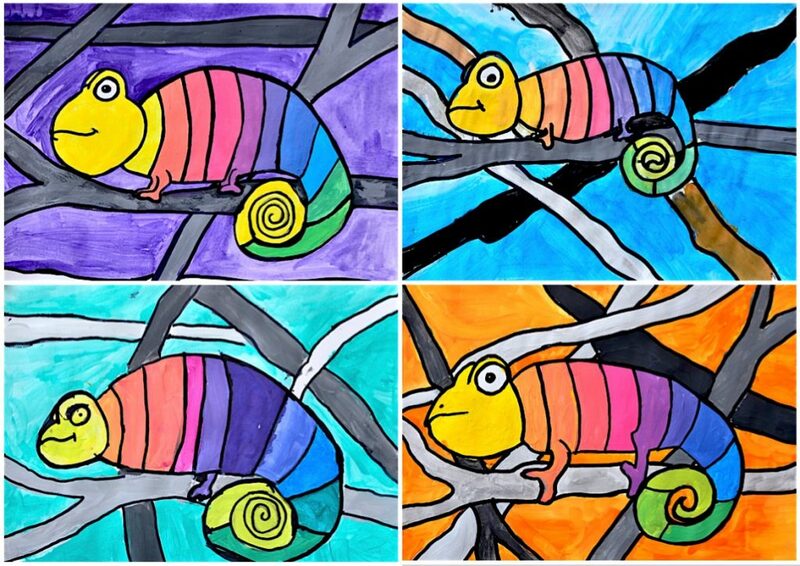 Now you can create the TERTIARY COLORS, mixing a primary with a secondary color. 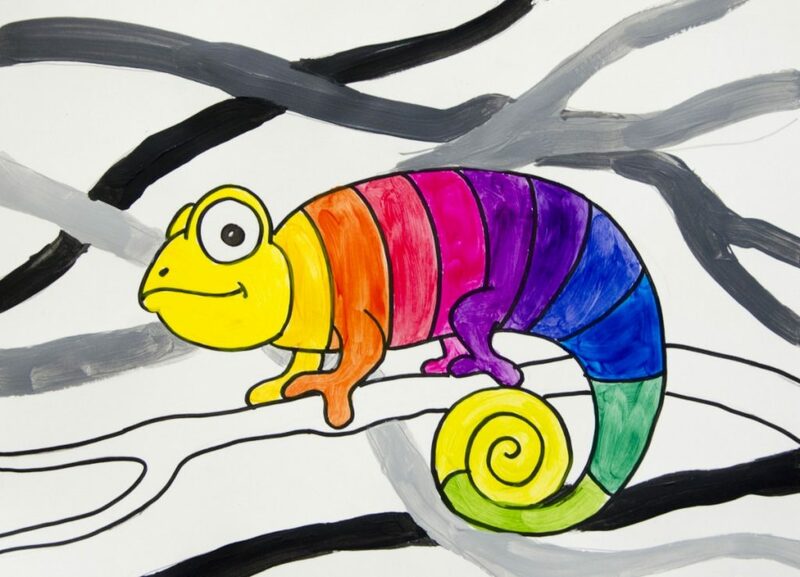 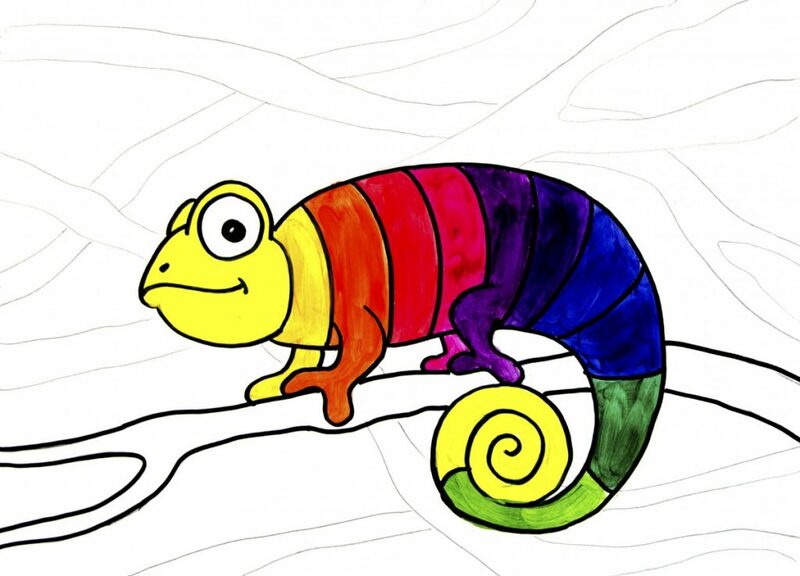 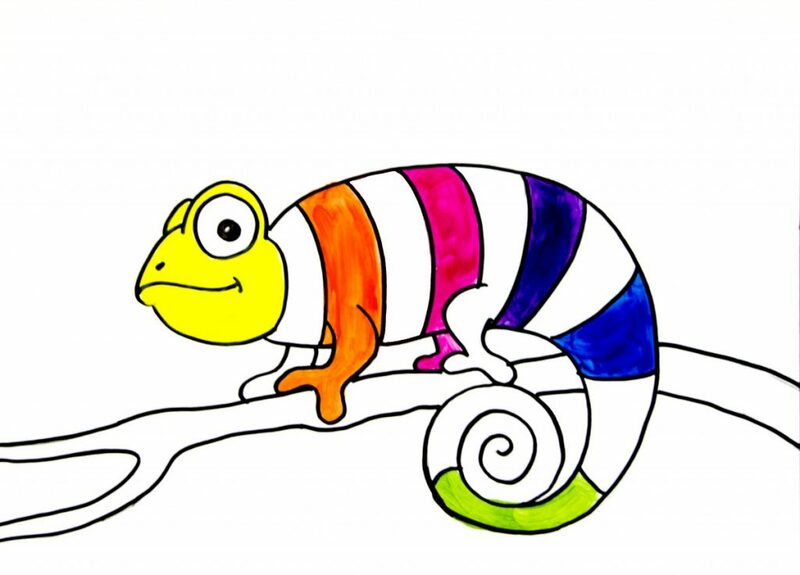 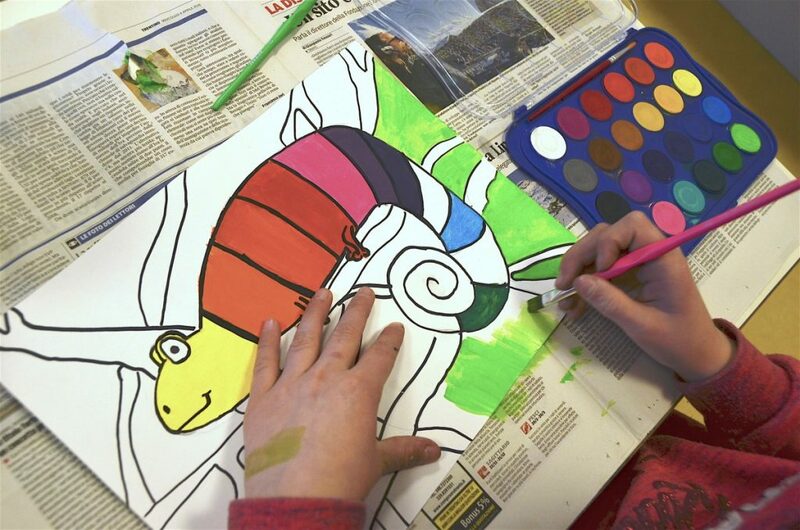 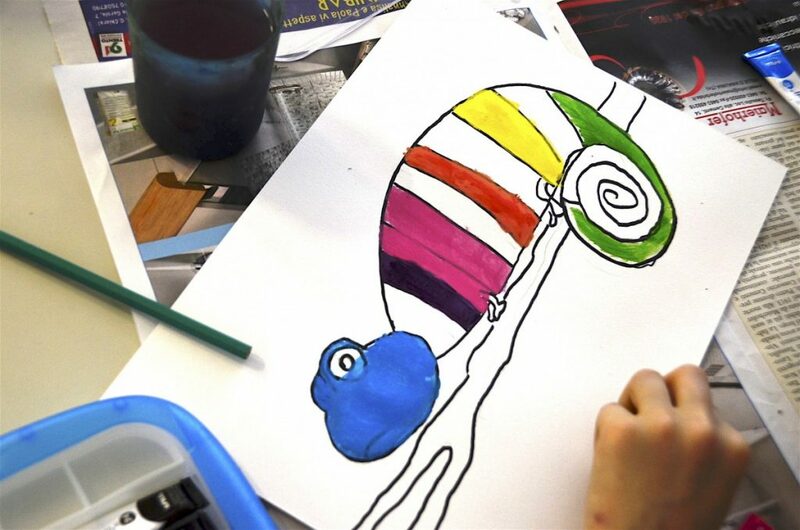 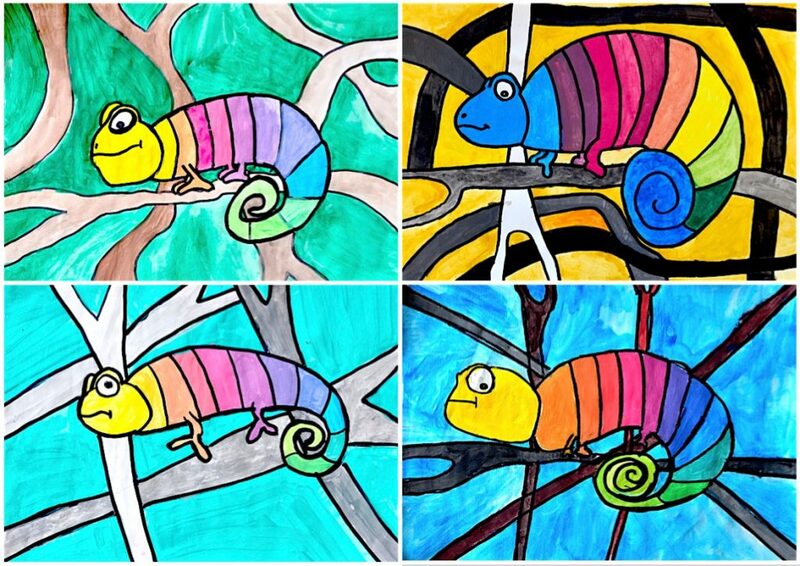 When you finish the rainbow chameleon you can draw five or six branches on the background. 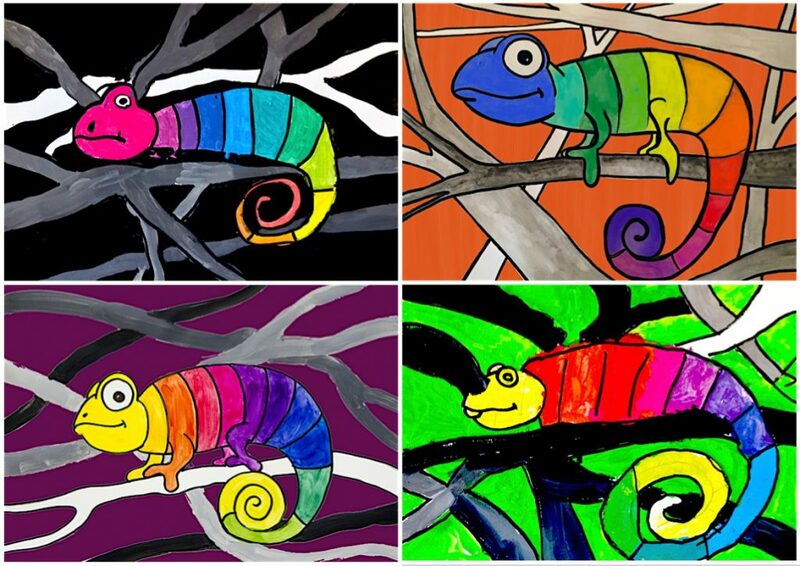 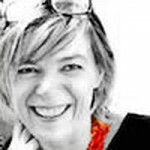 You paint the branches with neutral colors, mixing black and white and creating a scale of grays. 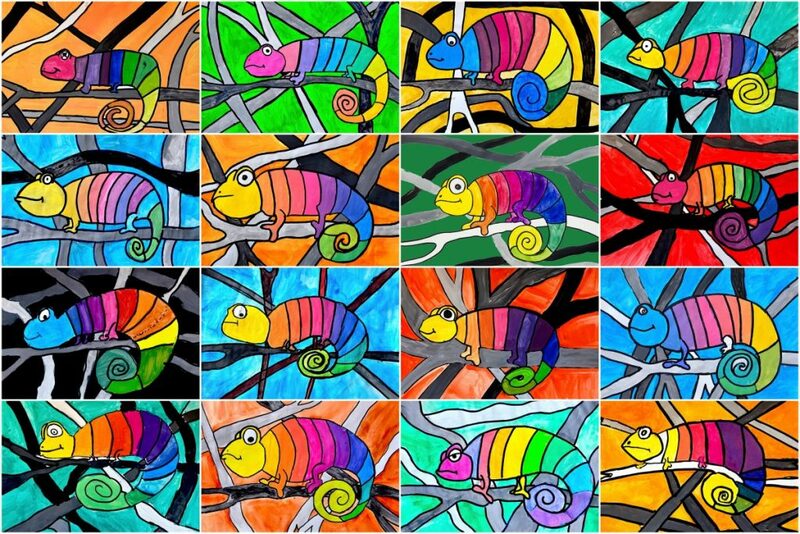 At the last step you color the background. 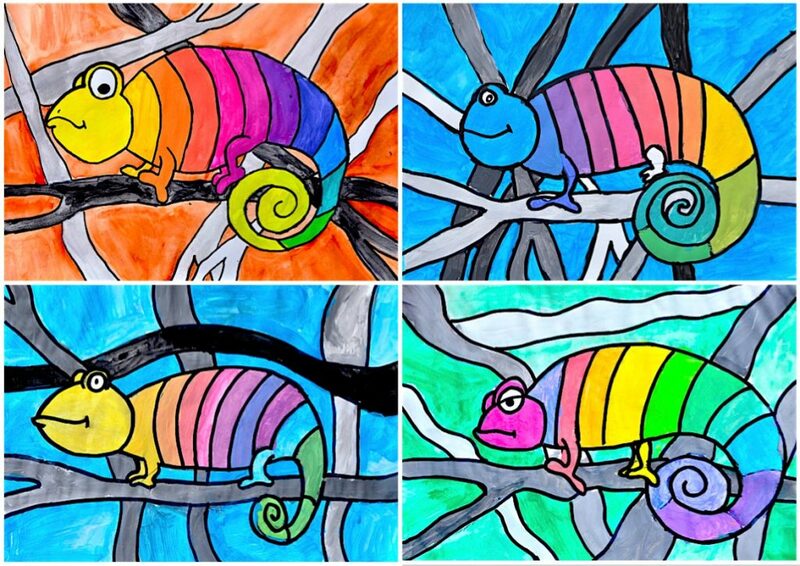 We chose to paint it with watercolors in a solid color.